The attention of America was focused on Capitol Hill on Thursday as the hearing began for Brett Kavanaugh’s accuser, Christine Blasey Ford. However, as questioning began for Ford, there seemed to be a direct contradiction between what The Washington Post reported and what Ford said during the hearing. Rachel Mitchell, a special prosecutor who works as the chief of the Special Victims Division in Phoenix, was hired by the Republicans to question Ford. During the hearing, Mitchell began to ask a series of questions regarding the night of the alleged assault. She started off by bringing out a large map with the area in which the assault allegedly happened and asked about the distances between her house and the house where the alleged assault happened. Ford described it as being about a 20-minute drive from her parent’s house. Mitchell then turned the questioning to ask about how she got to and from the gathering at the house that night. “Would it be fair to say that somebody drove you somewhere either to the party or home from the party?” she asked. This acknowledgment of being driven to the party directly contradicts what was reported in The Washington Post article that broke the story. According to the Post, Ford didn’t recall how the gathering came together that night. In fact, the article states that Ford had said that she didn’t remember some of those “key details” about the event. Do you think this contradiction hurts Ford's credibility? One of the key details was how she got to and from the gathering. “She also doesn’t recall who owned the house or how she got there,” according to The Post. 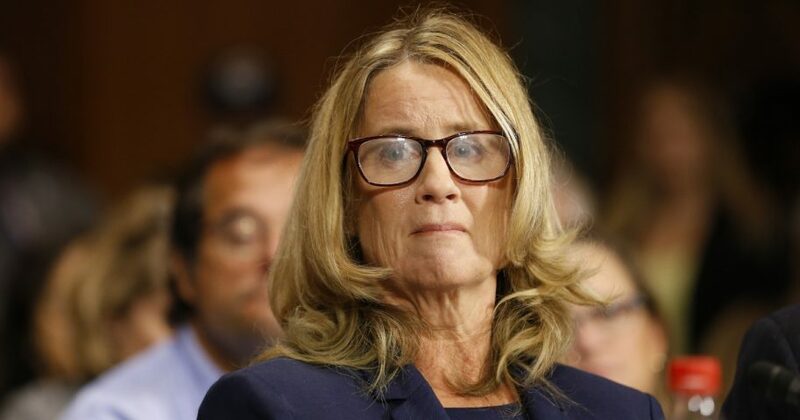 However, at Thursday’s hearing, Ford made it clear that she was driven to and from the gathering because she was only 15 and the legal driving age was 16. Mitchell also asked Ford about her ability to corroborate her story. “Has anyone come forward to say to you, ‘Hey, remember? I was the one who drove you home? '” Mitchell asked.